Children who succeed in learning at school build self-confidence and a joy of learning. But what happens to children with learning differences who struggle with schoolwork? 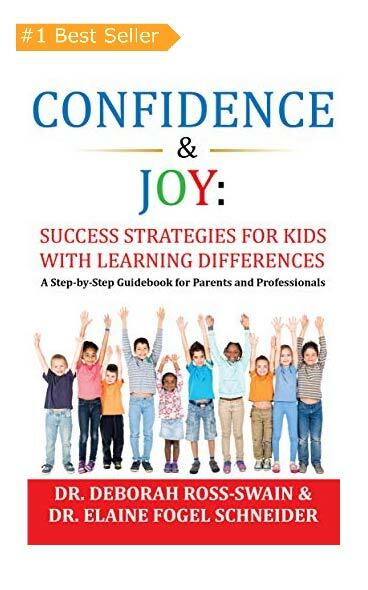 In their new book, Confidence & Joy: Success Strategies for Kids with Learning Differences, experts Ross-Swain and Schneider apply years of experience as clinicians to help parents and teachers instill success into the daily lives of children who learn differently. 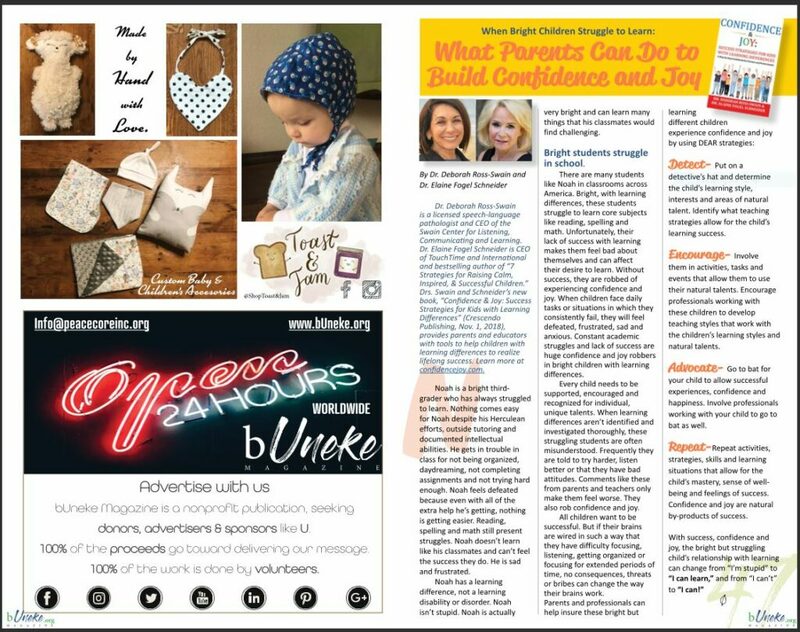 Homework hassles, learning struggles, tears and meltdowns are signs and signals that something isn’t right for some school-aged kids. The reason most children struggle is because they may have learning differences. These typically bright children just aren’t able to grasp reading, spelling and math like their classmates. Despite their very best efforts, as well as outside tutoring, they just can’t do it. They end up falling further and further behind. Different doesn’t have to be negative for children with learning differences. They’re capable of learning everything their peers learn. They just learn in a different way. Yet children with learning differences are often robbed of their confidence and joy. In order to ward off feelings of frustration and failure, parents and teachers must know how the child learns best and allow the child to experience success, both academically and socially. From success, confidence and joy will grow and lead to more success. 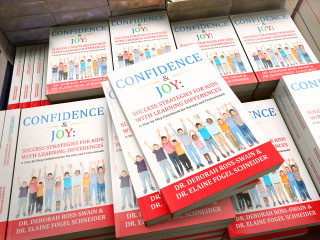 I had a chance to interview Deborah Ross-Swain and Elaine Fogel Schneider, leading speech-language pathologists, about their new book, Confidence & Joy: Success Strategies for Kids with Learning Differences, which I reviewed on this site. 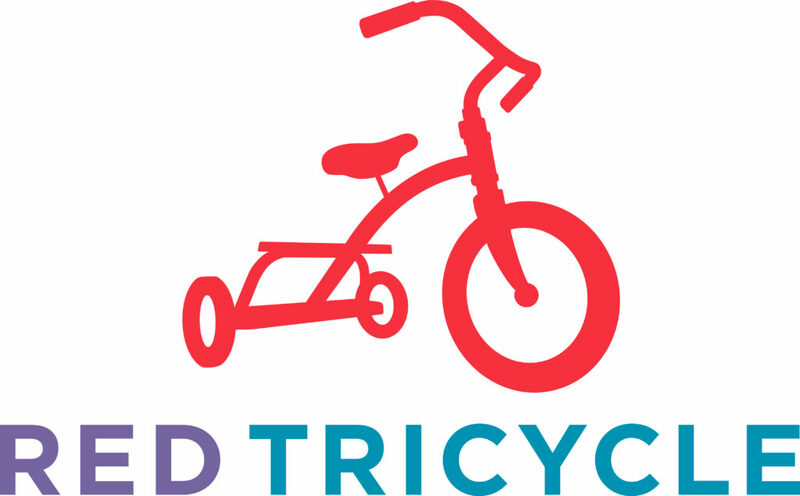 Their book equips parents and educators with winning strategies that allow children who learn differently to gain confidence and succeed. Listen to “Confidence and Joy: Strategies for Different Learners” on Spreaker.